The 4-day Business Delegation under the leadership of HE Dr. Peter Ramsauer, Federal Minister (ret.) 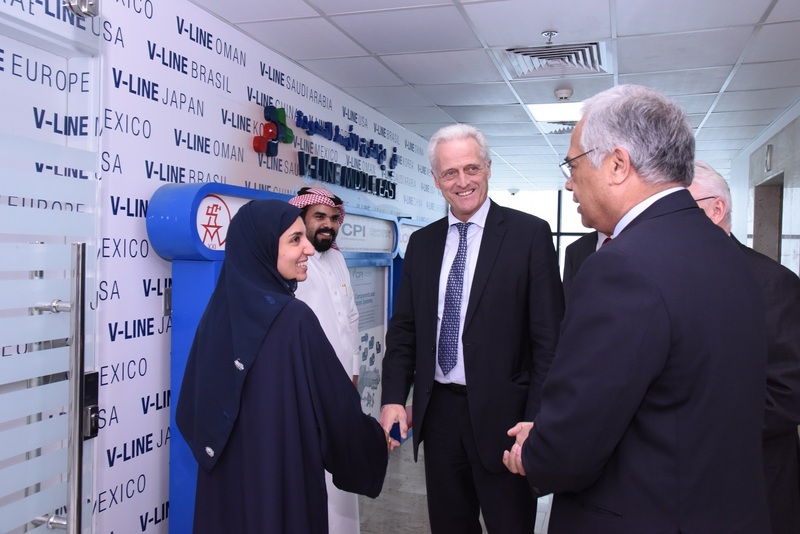 of Germany and President of the GHORFA, also led the participants to the headquarter of V-LINE MIDDLE EAST in Jubail. Jubail, Saudi Arabia / January 24, 2019. 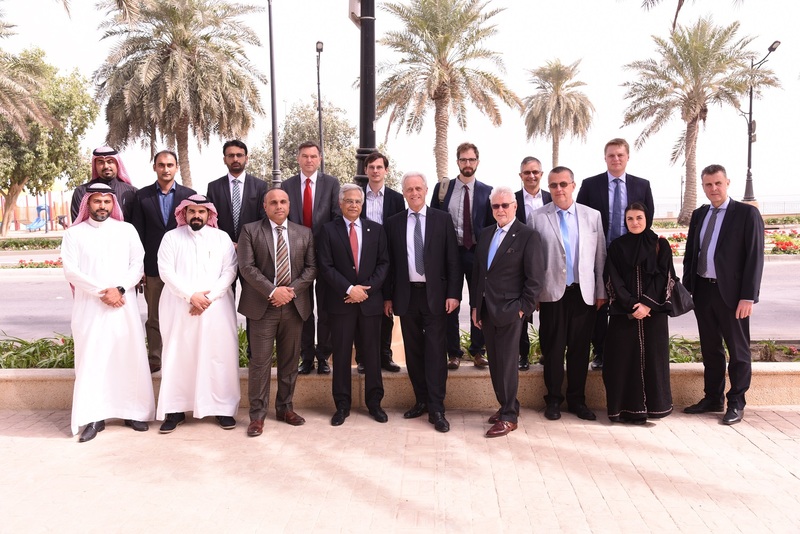 GHORFA, The Arab German Chamber of Commerce and Industry e.V., organized a 4-day Business Delegation to the Kingdom of Saudi Arabia under the leadership of HE Dr. Peter Ramsauer, Federal Minister (ret.) of Germany and President of the GHORFA. The GHORFA hosts such trade missions annually with the aim of continuing long-term deep relations with the Saudi business community. “This year especially, we have to appreciate the reform process outlined in the Kingdom’s Vision 2030 and explore opportunities and enhance economic cooperation with Saudi Arabia in various fields “said Ramsauer, inviting more than twenty representatives from various industries such as healthcare, engineering, technology, energy, hospitality management, law firms and MRO specialists to accompany him on this first trade mission of the new year. After visiting the Royal Commission of Jubail and Yanbu, and learning about real visionary urban planning many years ago, the delegation accepted an invitation to visit the V-LINE MIDDLE EAST headquarter in Jubail. V-LINE MIDDLE EAST CEO Shahzad Haider, who was also part of the delegation, gave a brief overview about the firm’s five business units and the delegation appreciated some more insightful information on how to be successful in the kingdom. “Another hidden champion! 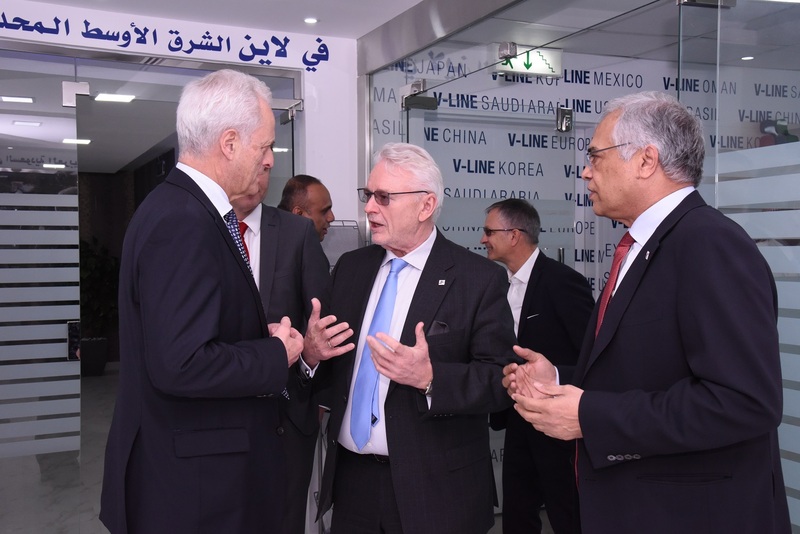 It is amazing how the German Mittelstand adds value all over the world” said Dr. Ramsauer as he expressed appreciation for this unexpected invitation and thanked the V-LINE management team for hosting the delegation.